You have a lot of Twitter followers. Are they bots? No, our Twitter and Facebook following is totally organic. We have never bought followers and never will. Our social media network has been built over many years and our followers are generally interested in books, writing, publishing, blogging and other related topics. The amount of interaction on our social media accounts by such means as Liking, sharing and commenting is good proof of the vitality and organic nature of our accounts. If you would like to check our Twitter accounts, you can use Twitter Audit to verify our real follower score. 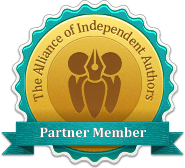 ← How long will it be before my book is posted and promoted?